As a print shop, the question is what do you do? Should you use uv coating or finish with laminating film? Both processes have application depending on what you are doing. If you are generating postcards for a direct mail campaign, uv coating may be all that you need. It costs less per piece than finishing a postcard with laminating. 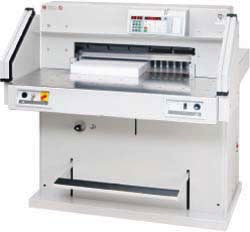 If you are producing high end graphics that need guaranteed protection, laminating film would be the right application. 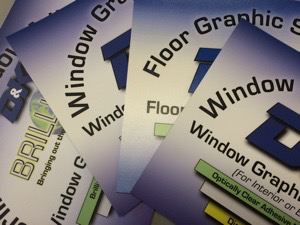 Not only does it come in multiple finishes, it allows for a variety of uses including floor graphics or window graphics. You can still go high-end with direct mail pieces and use the sense of touch to separate out your client’s direct mail from the others. In addition, most lamination comes with uv inhibitors to protect your image from ultraviolet light and discoloring. Of course it would also protect it from dirt or dust. Lloyds carries a large selection of laminating film from D&K. Previous Post:Business Card Slitter For Your Print Shop.